We begin by discuss your needs as an investor owning real estate in Hawaii and taking care of the initial paperwork to get you started. It usually takes us about three to four business days to get you fully setup in our system but during that period, we are already working our way through the next phase. All the remotes, keys, transmitters, carport and mailbox information, etc. This is when we first get a chance to thoroughly evaluate the rental unit. At this stage, we are looking to see if the property needs any improvements or repairs to make sure it’s ready for tenant occupancy. Here we will make sure the property is cleaned and carpets have been clean professionally, evaluate the flooring and paint condition, test all the appliances, check yard cleanliness, and look for any other items which may need attention. We will then go over the list of recommendations with you to see what items you would like to address. In this phase, we begin actively looking for your new tenant. 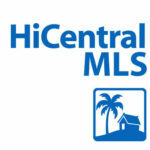 Your property will be advertised in a variety of different websites to get maximum exposure for your investment on Oahu; 16 sites total. We will closely monitor the activity on your rental property making sure that we are getting the right kind of activity. If not, we will go over different marketing strategies while provide you with recommendations based off experience and our knowledge of the market. With our proven marketing methods, your unit will be leased in no time. This is our area of expertise. Each tenant will be thoroughly screened with a review of their credit history, criminal background check, multi-state eviction check, review previous rental history, and verifying their employment. During this process, we are looking for patterns and red flags to help weed out poor applicants. 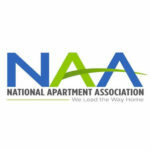 Our goal is to find you a well quality tenant so that you can maximize your return while reducing your risk. The best part here is that we include you during this process where you can set certain criteria and we can even review the application with you so that you can approve them to rent your home. After locating a well-qualified tenant, we will make everything official and have them sign our customized lease agreement which was drafted and reviewed by our attorney. Instead of using a standard lease agreement like most other Hawaii property management companies, we have put one together which offers you more protection as the property owner. This is to ensure that we minimize as much risk as possible for you and your family. During this phase, we will meet tenant one on one to discuss the lease agreement making sure that the tenant understands their responsibilities and obligations. We also make sure that we collect the security deposit at the time. This way if they don’t end up taking the property, you can retain a portion of the deposit to cover any losses you may have incurred while the property was taken off the market. We feel strongly that a well-informed tenant helps make a great tenant. 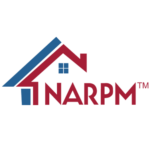 This is why HappyDoors Property Management arranges to meet the tenant in order to perform a move-in evaluation and orientation at the rental property. Here we will go through the property alongside the tenant documenting the unit’s condition and checking for any last minute items that need attention. In addition, we will go over some basic home maintenance tips and demonstrate how to operate the appliances. For tenants just moving to Oahu, we also take the time to go over different things they may see or experience such as weather, types of insects to look out for, and proper yard maintenance. 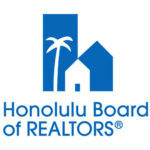 While this is not something that is done by most Hawaii property management companies, we feel that this is an important step to building a long term tenant relationship. Not only does this help inform tenants about their maintenance responsibilities, but it also increases tenant retention because it gives us a chance to develop report and trust. Tenants will be required to pay rent by the first of the month and considered late on the second. 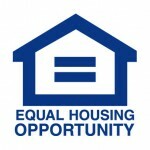 The sooner we are able to collect and process the rent, the sooner we can initiate our monthly rent distributions. Part of our rent collecting process is to follow up on past due rent in order to try and collect. Our goal is to minimize the need to initiate eviction proceedings as much as possible, but from time to time if we are unable to gain cooperation from the tenant, then we will take the necessary steps to protect your interest. Of course we will keep you informed every step of the way and ultimately you have the final decision whether or not we proceed forward with filing an eviction request with the court. Once the rent has been paid, we go ahead and initiate payment for any outstanding bills. This includes any repair bills, paying for monthly yard or pool service, making payments towards HOA maintenance fees, processing your Hawaii GE Tax payments, etc. Once the bills have been processed, we then initiate your monthly rent distribution. We will make sure that you will have online access to all bills that were paid so that they can be downloaded for your records, if needed. We strongly believe that you deserve to be informed about what is going on with your investment property. This is why HappyDoors Property Management offers 24 / 7 online access to your account information. From running your own financial reports to downloading copies of invoices, everything will be available at your fingertips. In addition to being able to access your information online, we will also send you monthly states and year-end tax information. A key to a long term landlord-tenant relationship is providing a quality product. With our years of experience in Hawaii, our Oahu property management team has found that well maintained homes results in happier tenants. 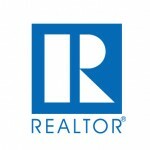 This in turn results in tenants staying the property longer which maximizes your return as investor. Fewer vacancies will mean less money coming out of your pocket. We offer 24 hour access for tenants to submit maintenance requests either online or by phone. This includes immediate response to emergencies such as a water leak where time is of the essence. The only way to really know what is going on at your property is to physically stop by to check on it. 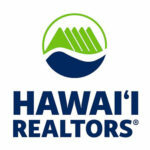 This is another service that is often neglected by other Hawaii property management companies, but we have found it to be a very beneficial part of our management process. It not only gives us a chance to make sure the tenant is keeping everything in order, but we also get an chance to check for possible differed maintained such as water leaks that may have gone unnoticed by the tenant. Our Oahu property management team will evaluate your unit at one a year, or more frequently depending on the level of service selected. Not only do we get an opportunity to see the property, but it is another opportunity for us to build stronger tenant relations in order to increase the changes that they will stay in your property even longer. This is another great way to help minimize your risk and maximize your returns. While we work extremely hard to find you the best qualified tenant, every now and then a problem tenant will emerge. Despite how someone may look after performing a thorough background screening there is always a slight risk that things will not work out. Fortunately, we are prepared to respond to problematic tenants to help correct the problem. In many cases, we are able to turn bad behavior around and make a bad situation into a good one through years of experience in negotiation and conflict resolution. It starts by providing the tenant with information on what needs to be corrected and going over the steps which they can take to improve the situation. This helps us resolve the problem while providing the tenant with the knowledge to prevent it from happening again. We do everything in our power to keep tenants in your rental property as long as possible; but inevitably, all good things must come to an end. During final move-out phase, our goal is to get the property back quickly and in great condition which allows us to minimize the amount of time the property is vacant. To ensure a smooth transient, our Oahu property management team will work with both you and the tenant every step of the way making sure that both parties are informed and know what to do and expect. When the tenant is ready to move, HappyDoors Property Management will send out a team member who has been trained specifically to thoroughly document and review the unit’s condition of your investment alongside the tenant. Once we have possession of the home, we will compare the move-in and move-out evaluation reports to check for any repair items that the tenant may be responsible for before refunding any of their security deposit. When performing the final move-out walkthrough alongside the tenant, we are making note of recommended maintenance items which may need attention before your next tenant moves-in. Based on experience, our team will review this information with you giving you an opportunity to make an informed decision on what improvements will be done to the rental unit. Upon your approval, we then help coordinate all the approved repairs quickly and efficiently while evaluating the work once they are complete. After checking on the work, verify that it’s complete and the rental unit is ready for the next tenant, our Oahu property management team will begin marketing the rental property meanwhile repeating the management process.